I have yet to talk to an audience about discussing the hygiene issue without people clearly relating. Recently I was interviewed by Forbes magazine about how to talk about it. It’s a tough, but important topic. Here are some tips for you. We’ve all encountered it. Someone whose personal hygiene does not meet our standards. What’s up with them? Are they clueless? Is it passive aggressive behavior in the workplace? Might they have a problem they can’t control? Is it a medical issue? Most of us are not psychologists or docs and we don’t know. We do know that while there is no great way to tell someone they smell bad, some ways are better than others.Many of us avoid handling difficult conversations with employees at work because we don’t know how. While there isn’t a great way to discuss hygiene, these tips will help. 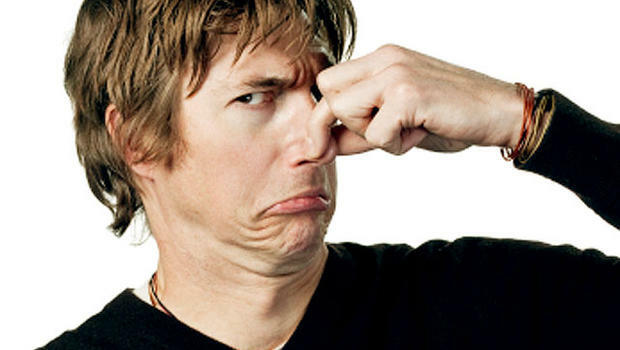 When considering how to tell someone they smell, let’s start with how you don’t tell them. Don’t address the issue in front of others or even where others can overhear or even see. Don’t assume you know what the underlying issue is. You don’t. Don’t make it about you. This is not a personal issue. Don’t be confrontational, judgmental or critical. Don’t hint. While it’s important you avoid attacking them, you also want them to get your point without guesswork. Don’t refer to culture or race or anything that could get you in legal hot water. Don’t let their hygiene issue become fodder for office gossip. If they react with passive aggressive behavior, don’t use passive aggressive behavior back at them. So what do you do? Here’s what you do when you need to tell someone they smell bad at work. Tell the offender, not anyone else. Find an environment for casual privacy. Be informative. Take the stance that you are providing them with information they need to know. Be empathic. Speak like a sympathizer, not a judge. Use neutral, impersonal language that refers to professionalism and the impact on the office. Be low key. Tell yourself this is like any other performance problem. The more agitated you sound, the more reactive they will be. Arrange for follow-up and future feedback. Most behavior changes require time. Provide future feedback, both positive and negative. Let them know you appreciate their taking care of the issue. What do you say? Here are your Power Phrases to tell someone they smell bad at work. (Name,) I need a few minutes of your time. Can we meet in the conference room? (Name,) I have noticed the smell of (the offensive odor), and I’m concerned that it is having an impact on your ability to interact with your co-workers and our customers. You need to address this because it affects performance. Listen empathically to their response. I’m telling you because it’s important for you to know. I know if it was me, I’d want to know. If they become reactive, use empathic Power Phrases. Chances are the employee is embarrassed and is reacting with passive aggressive behavior in defense. What they do with the information is more important than what they say in the moment. Whether your employee or coworker’s hygiene issue is medical, cultural, due to lack of awareness, or a clear example of passive aggressive behavior in the workplace (it happens), Speak STRONG. Power Phrases can help you manage the issue. I have letters from readers who tell me someone had the grace to tell them about the issue years ago, and it made all the difference in their lives.